Muscle Ca... Yawn... Car Wars - Cars! Cars! Cars! Does anyone care anymore? We're not saying the Challenger isn't cool or the Camaro is lame... it's just that we've all moved on to other things now. Like hoping Bill Ford doesn't come back to Ford in a managerial capacity or Land Rover & Jaguar don't get sold to India. 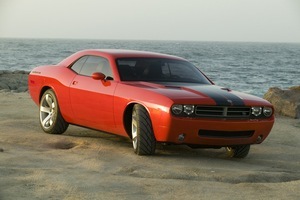 Anyway, when Autoblog reports: Details on Dodge Challenger drivetrains we just want to yawn and yawn. Think the release of the Challenger and Camaro will reignite the Muscle Car wars or just fizzle out? is there a site featuring all kinds of muscle cars. I'm not really sure what was the point of this article? I would "think" there is a market for these things, that's it.